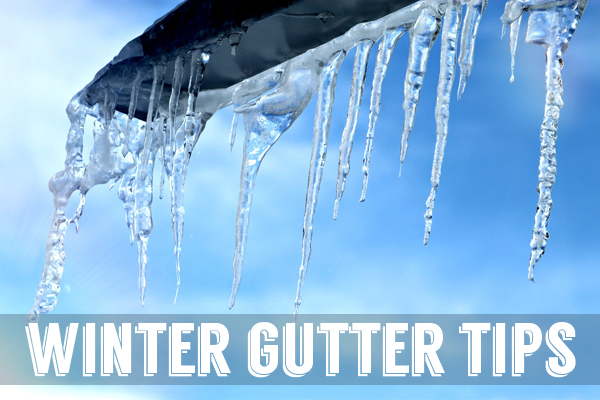 Winter Gutter Tips • Gutters & Guards, Inc.Gutters & Guards, Inc.
Winter weather can be rough on your gutter system. If you followed our fall gutter maintenance tips, your gutters should be in good shape going into winter, but there’s still a few steps you can take to protect your gutters during the chilly winter months. If you didn’t clean your gutters during the fall, don’t wait any longer. As snow and ice accumulates in your gutters and freezes the existing debris, the added weight can stress your gutters. This can cause your gutters to sag or detach from your home. Cleaning your gutters can help avoid the overwhelming weight. Gutter guards produce a shield between your gutter and the falling debris. They can help prevent the debris from collecting in your gutters and causing damage to your home. Especially in the winter, gutter guards can protect your gutters and home from harmful debris. Improving the insulation in your attic can help prevent ice dams on your roof and in your gutters. Ice dams form due to the temperature differential between your attic and the outside, causing ice and snow to melt and refreeze. Add extra insulation to your attic to prevent heat from escaping. This will reduce the temperature differential and help prevent ice dams. Follow these tips this winter to protect your gutters, and all us at (434) 239-8440 or head to our contact page to set up a free appointment today!